Home - Global Coaching School. Our goal is to contribute through Coaching to the growth of people, teams and organizations facilitating processes of self-development, positive transformation and learning that allow them to break paradigms, limiting beliefs and achieve the fulfillment of their goals in an integral way. Training with Coaching allows facilitating processes of self-development, growth and expansion of the potential of the individual, work teams and organization. Achieve your goals, break paradigms, break limiting beliefs, learn to build good habits and eliminate destructive habits, in a process where the best part of all is that you are the creator of this magic transformation and growth. Executive Coaching is a process aimed at accompanying leaders in organizations to face their challenges within the system in which they move, so that they can transform learning about themselves, their teams and the system, into results for themselves and for the organization. It is a training program with high emotional impact where the focus is experiential learning, through outdoor activities and dynamics followed by an analysis session using Coaching methodology, participants discover, learn and incorporate knowledge, skills and behaviors which will lead them to develop themselves, improving the performance and efficiency of the team. 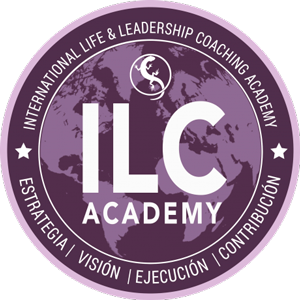 IInternational Life and Leadership Coaching Academy, facilitating International Certification Programs endorsed by the International Association of Coaching (IAC). IDN Consultores - Business Institute, experience and expertise that allow us to expand, complement our offer for its portfolio of effective solutions in Consulting, Training and Recruitment.